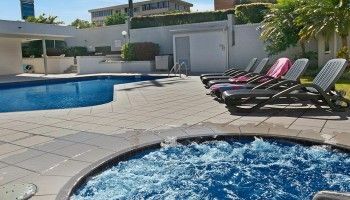 Our Caloundra accommodation is luxury beside the beach that you don’t find everyday. So congratulations if you’re reading about our fabulous Kings Beach resort. Here you’ll find an embarrassment of riches in our spectacular two and three bedroom apartments that are also surprisingly affordable. The heroes of this luxury resort are the three bedroom apartments. They range in size from 118 to 140 square metres. With flexible bedding configurations for families, groups or corporate travellers, there is more than enough room to accommodate everyone. Spacious Bedrooms and open plan lounge and dining areas also feature gorgeous views looking out to Kings and Shelly Beaches and magnificent sunsets looking back to the distinctive Glasshouse Mountain range. 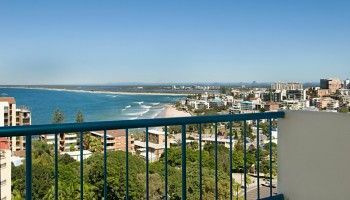 Close to many of the Sunshine Coast holiday attractions, the Burgess Kings Beach is the perfect place to launch your Caloundra holiday. 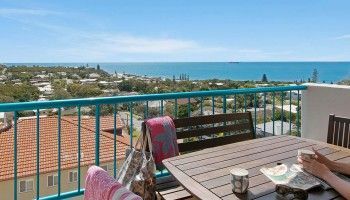 Caloundra is one of the Sunshine Coast’s best kept secrets. Here you’ll find a multitude of things to do and places to see. A visit to our tour desk, will see you returning to to your apartment overflowing with holiday ideas and tours. We can also help with booking too at absolutely no extra cost to you. 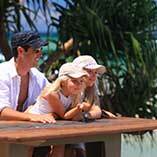 Dicky Beach for example is a destination worth a look for families with kids in tow. It’s an interesting beach with lots to do. The beach is eponymously named after the shipwreck of the steamer that beached there in 1893. The surf patrolled Dicky Beach also has a local creek that creates a natural lagoon. A perfect spot for younger kids to paddle around in, it’s warmer and flatter than the sea. With the choice of bodyboarding the waves on the beach or taking a plummet down the sandy dunes. There’s also picnic benches and free BBQs available beside the carpark. Perfect for taking the outing into the evening. 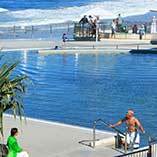 It’s certainly a handy alternative to the nearby Kings Beach and pool. 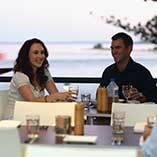 You’ll enjoy your stay in Caloundra. With the generous spaces within, and out, this does not feel like holiday accommodation at all. It’s more like a second home. You will definitely remember this Caloundra accommodation, Burgess Resort at Kings Beach. Book now. Start making those holiday memories.